More is more: Adding accessories for more impact - Hwatien Enterprise CO.,LTD. Generally speaking, fingers are one of the few body parts that remain a trend-free territory. Usually, any decorations – whether dots of jewels, bulbous cocktail creations or eye-catching nail polish – are left to the discretion and sentimentality of the wearer. And, while they provide the odd distracting flash, these hand decorations are more of a supporting act to the main performance that is the rest of your outfit. Of course there have been fleeting fetishes: OTT nail art replete with rhinestones, pearls and crystals; or Rihanna-inspired henna tattoo transfers in gold foil spotted around summer festivals like Coachella in Los Angeles and Glastonbury in the UK. As perfect and flamboyant as they are for sun-soaked street style parades, these trends rarely made it into the daily style lexicon. Mostly because, although hands make a particularly pretty setting for the odd extended acrylic or a precious stone or two, we modern women need to, you know, be able to do stuff. 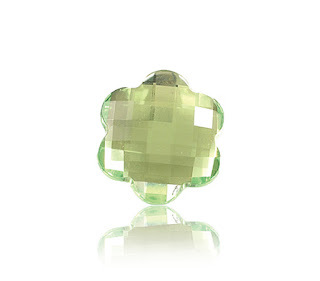 Thankfully, spring's most buzzed-about accessory trend, finger-focused though it is, is as wearable as it is chic. And the best news? It's seriously easy to try. First, start with your favourite ring, whether it's an engagement ring, a friendship ring or one that, in the spirit of Destiny's Child's Independent Women , you bought for yourself, (the best kind, right ladies?). 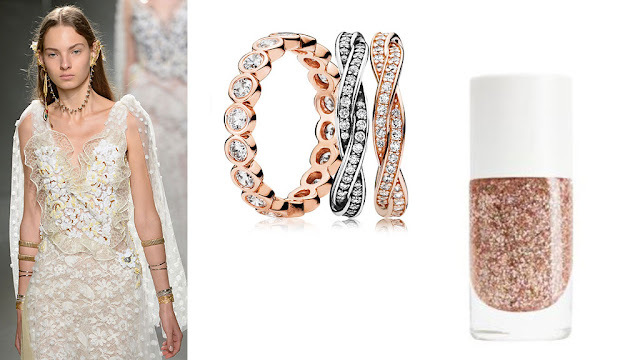 Then try one of these three perfect manicure + ring combinations inspired by our favourite style icons. How to: For those among us who shy away from fads and favour classic palettes of black, white, grey and navy, worry not – this is a trend you can try without compromising on your refined aesthetics. Take your classic manicure in a neutral block hue and experiment with shimmer and metallic on a feature nail. A French manicure-inspired rose gold slick across the top or bottom of the ring finger or a single silver nail to match your favourite delicate jewellery is an easy way to dip into the trend. L-R: @oraclefox Instagram; PANDORA Radiant Elegance gold ring stack, $789; Burberry Beauty nail polish – Gold Glitter No.451, $30.00. How to: Look to Rodarte's Spring/Summer 2017 show inspired by 60s hippie songbird, Janis Joplin. Known for her coloured glasses, gypsy-inspired wardrobe and multicoloured trail of ribbons in her hair, the singer acted as muse for sisters Kate and Laura Mulleavy behind the brand. For the fingers, this translated to perfectly manicured, natural pink nails outlined in the most delicate application of glitter. Though finely executed, the results are exquisite. Build upon stacks of cocktail rings and knuckle rings that sit closer to the tips of the fingers for a truly bohemian feel. 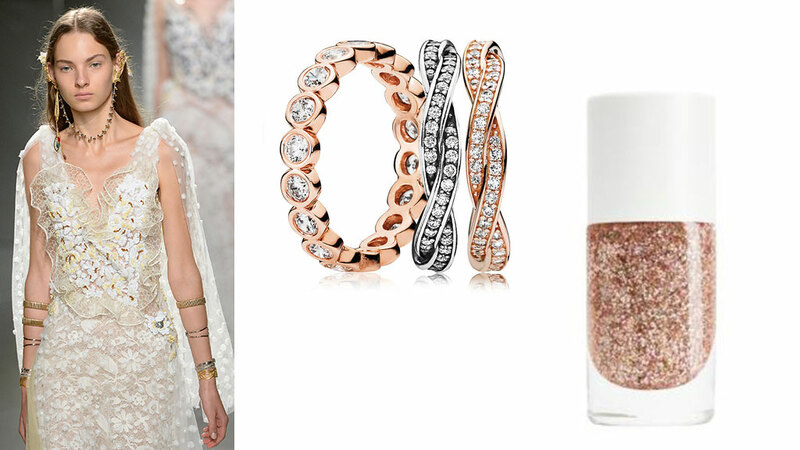 L-R: Rodarte Spring Summer, 2017Catwalking/Getty Images; PANDORA Rose Alluring braided ring stack, $397; Nailmatic nail varnish in Rose Gold Glitter, $17.03. How to: Take your favourite metal rings – gold, silver, rose gold, copper – and match them with your nail polish shade in high-shine metallics. This is a bold, statement-making look is perfect for after-dark, so layer up styles and sizes and wear against a sheer, almost gothic-inspired LBD to let your fingers do the talking. To amp up the impact, apply your metallic polish over the top of a block base shade, as per the Phillip Lim 3.1 show, allowing a tiny pop of colour in the periphery. Match to the colour of any stones you might be wearing for serious detail. Alternatively, simply ombre the tips as per the Zero + Maria Cornejo Spring Summer 2017 show.